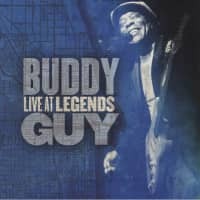 Buddy Guy is growing old in a great way! Like a vintage wine he's only getting better and better, deep and emotional. 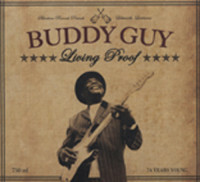 Recorded in Mississippi (all-acoustic, by the way) Buddy performs a moving set of pre-war and contemporary style blues. He does it his way, with a lot of soul, passion and feeling. This a must!!! BUDDY GUY - gtr/voc, JIMBO MATHUS - gtr, TONY GARNIER - upright bass, JIM KELTNER - drums. Special guests: ERIC CLAPTON - gtr, B.B. KING - gtr. Rush's ex-Cobra labelmate Buddy Guy had a lot more time to build his Chess legacy. Like Otis, he joined the Chess roster through Dixon's auspices in 1960 but remained there into 1967. Guy's blistering barrages of bent notes and frenetic vocals epitomized the new B.B. King-inspired direction for electric Chicago blues. George 'Buddy' Guy was born July 30, 1936 in Lettsworth, Louisiana. He was inspired early on when a swamp blues pioneer rolled through Lettsworth. "Lightnin' Slim was the first electric guitarist I ever seen," says Guy. "He had this electric guitar, playing 'Boogie Chillen.' I had my allowance that weekend, which was 35 cents. He had the hat out, and I gave him my 35 cents." Other bluesmen influenced him as well. "Before Slim, there was Lightnin' Hopkins and T-Bone Walker," says Buddy, who was knocked out by the wild showmanship of Guitar Slim. "After seeing him play, I said, 'I want to do it!'" he says. "And then I walked up one night, and there was B.B. King. I said, 'If they can do it, I can do it!'" Buddy made his initial professional inroads on the Baton Rouge circuit, playing his axe with John 'Big Poppa' Tilley's combo long enough to overcome his mic fright before joining harpist Raful Neal's band. Guy made a rough two-song demo tape at Baton Rouge's WXOK radio, and in September of '57 the young guitarist hopped on a bus headed for Chicago. "I heard that I could work day shifts, see Muddy Waters and them at night, and I could make more money working a common laborer job than I did anywhere in the south," says Buddy. "But that never happened. I couldn't find a job high or low when I got here." Chess nixed his demo, and a hungry, disillusioned Guy was about to head back home when Muddy Waters interceded with sage advice and a welcome bologna sandwich. "He talked to me like a dad," says Guy. "He said, 'Don't even think about going back to Louisiana. Just stay here and play the blues!'" West Side guitarist Magic Sam recommended Guy to Eli Toscano, his boss at Cobra Records, who signed the newcomer to his Artistic subsidiary in 1958. "Sam told me to catch a bus and meet him over there," says Buddy. "I walked in, and he was standing there, him and the late Harold Burrage. And I started singing B.B. King's 'Sweet Little Angel.' They said, 'Man, you better sign him now! Listen to that!'" Guy's Artistic debut coupled Try To Quit You Baby and Sit And Cry (The Blues). With Ike Turner sharing guitar duties, he encored with a B.B.-style This Is the End and the Guitar Slim soundalike flip You Sure Can't Do before Eli folded his tent. Rush provided Guy's Chess entrée. "Otis came by my house and said Leonard Chess wanted to see me," says Guy. "I went by there, and they signed me up." Guy's hair-raising Chess debut First Time I Met The Blues was waxed March 2, 1960 with saxists Jarrett Gibson, Little Bobby Neely, and Donald Hankins; bassist Jack Myers, drummer Fred Below, and pianist Eurreal 'Little Brother' Montgomery, who wrote the tune as The First Time I Met You and cut it for Bluebird in 1936. 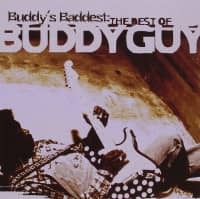 Perhaps swayed by having worked with Ike at Cobra, Buddy was into a momentary whammy bar phase; combined with his harrowing, high-pitched vocal, this explosive single signaled the arrival of another Chicago blues giant. Customer evaluation for "Blues Singer"